Anil Ambani had once profited from Paytm’s rise — in 2017, he’d sold a 1% stake in the startup at a gain of 2650 percent. Now he’s being taken to court by the same company. Paytm is taking Reliance Telecom to insolvency court to recover dues of Rs. 20 crore. 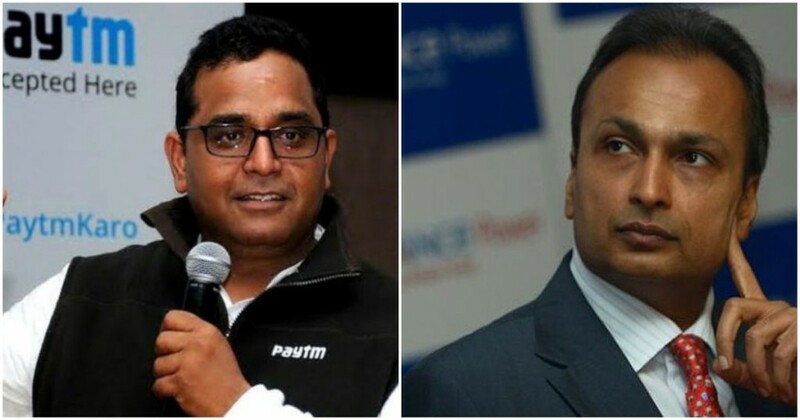 One97 Communications, Paytm’s parent company, has moved to the National Company Law Tribunal (NCLT) to get the Anil Ambani-led entity to pay up the Rs. 20 crore that it owes to its payments arm. Reliance Communications reportedly tried to come to a settlement with Paytm outside the courts, but talks fell through. A Mumbai bench of the NCLT will hear the matter on 26th October. Paytm isn’t the only company to whom the beleaguered Reliance Communications owes money. Reliance Communications is saddled with debts of over Rs. 46,000 crore after its telecom business failed to keep up with the other players in the fray. 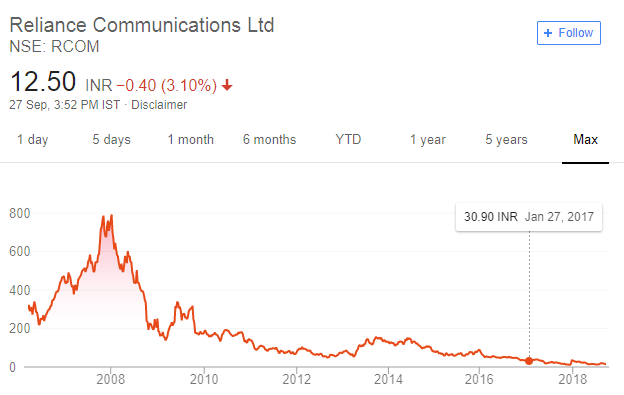 Reliance Communications’ stock traded at Rs. 800 in 2008, but fell steadily over the years, and now trades at a mere Rs. 12. The Anil Ambani company was dealt another blow when his brother Mukesh Ambani entered the telecom with Reliance Jio. Since Jio’s entry, Reliance Communications’ stock has fallen nearly 75%. Ironically, it could be Reliance Jio that bails out Reliance Communications. Reliance Communications is selling its assets worth Rs. 18,000 crore to Jio and Canadian asset management company Brookfield. Reliance Communications has already sold its fibre and nodes to Jio. It is into the process of selling its spectrum to Jio as well, but is stuck in legal tussle with the telecom department over spectrum dues, and until those are cleared, the spectrum sale to Jio is on hold. Interestingly, the Anil Ambani group had once profited from Paytm’s rise. Anil Ambani’s Reliance Capital had purchased a 1% stake in Paytm for Rs. 10 crore in 2010. As Paytm’s profile rose over the years, the value of the stake grew, and when Paytm had emerged as India’s top payments company after the demonetization move in 2017, Reliance Capital had sold the stake to Alibaba for Rs. 275 crore. The transaction had represented a gain of 2650 percent for Reliance Capital. But things have changed since then. When Anil Ambani was an investor in Paytm, he would attended the company’s internal meetings and taken part in its strategic discussions. On 26th October, however, his representatives will face Paytm inside of a courtroom.